Here’s a quick flip potential. 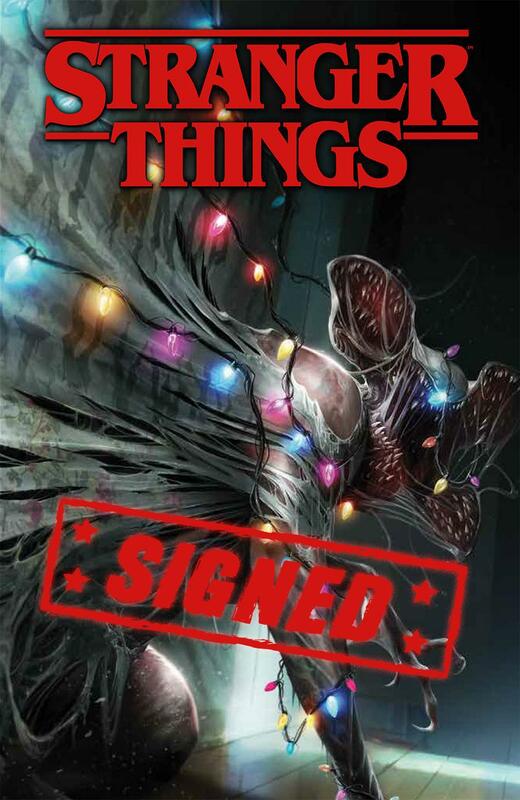 Midtown has their Exclusive Stranger Things Mattina Signed Variant for only $10. That was the same price as the unsigned copy. These are selling for double the retail price currently with a few in the $30+ range and most listings for $40 or more. They’re limited to 1 per customer so make sure to make it worth the shipping costs for one book or that just eats into your potential profit. Click the image to link to Midtown. I actually bought my regular copy while in NYC, should have known since he was signing books at their booth they’d have the signed edition a few weeks later for the same price. I knew it was a killer deal. Especially how much Mattina charges. Pretty cool! thanks for the heads up! I also purchased a copy from Midtown and then went through Mattina’s line and didn’t have it with me so I grabbed another one and had it signed. Then ordered another copy a few days ago. Not fast enough. I missed out. Maybe next time. I’ll sell you my copy when it arrives.. muhahahahaha! I need that cover to go along with my ash can, and the other 4 covers for the PC. Yeah, I’ll let you know if I’m selling after it arrives. I might replace the non-signed copy in the PC with this one.